Daughter of former JDC employee contacts the Joint, bringing her JDC story full circle. 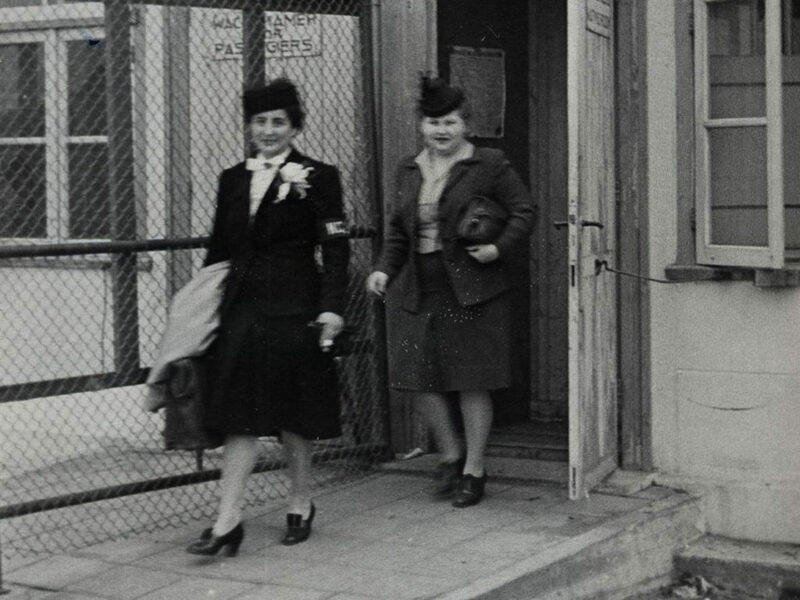 In March 2012, Dr. Debby Kerdeman contacted the JDC Archives, having seen a photo of her mother in our recently launched website feature of Holocaust-era photographs. “She always spoke fondly of her days in Amsterdam,” said Kerdeman of her mother’s time working for the Joint. 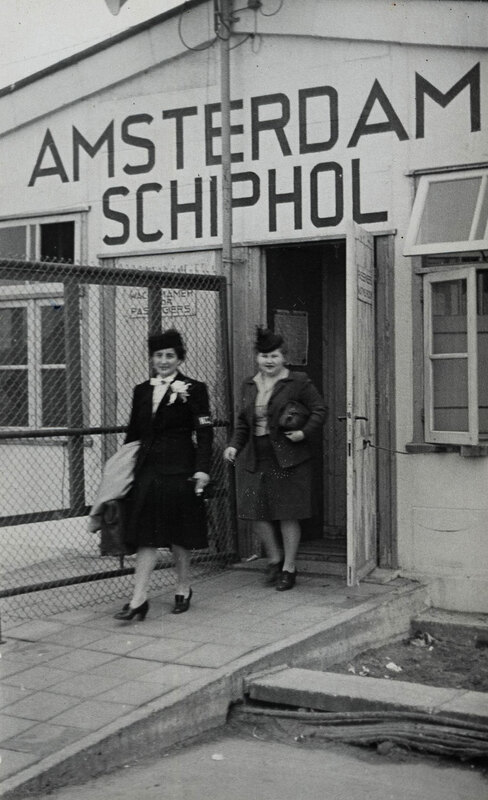 At the Amsterdam airport, Esther Haskin (right) accompanies a refugee leaving for the United States. When Esther Haskin, born in Georgia but living in Texas, graduated from Tulane University with a Master’s degree in social work in 1941, little did she know that her degree would take her to faraway Europe. But heed the call she did, and she journeyed to Amsterdam via New York to help her Jewish brethren in the aftermath of the Holocaust. 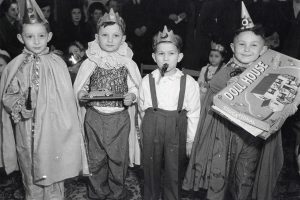 While she was employed first as a case worker in January 1946, she soon assumed the mantle of running the JDC Holland program in March 1946, and did so with great dedication until February 1947. Her overflowing workload included working with refugees and displaced persons, and reuniting children, parents and family members. 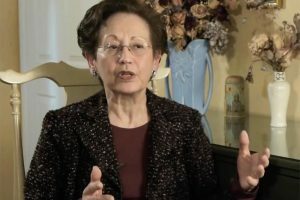 She cultivated good relationships with the Jewish community in Holland, the U.S. Army, governmental offices and UNRRA (United Nationals Relief and Rehabilitation Administration). In March 1947, Haskin returned to Dallas, Texas for personal reasons. She remained dedicated to the Joint, however, and volunteered with the efforts of the Dallas Federation’s fundraising campaign. In July 1947 she became JDC’s representative in the southwest. 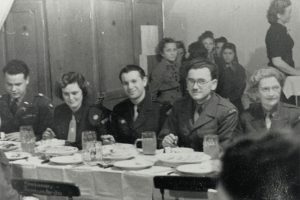 During this period, Esther met a Jewish refugee from Austria named Arthur Kerdeman, who, after being arrested in Vienna, was sent to the concentration camp Dachau. Kerdeman survived the war and married Esther in 1951 in Evansville, Indiana, soon after their meeting in 1950. See photos from JDC’s work in the Netherlands in our curated photo gallery.